Reminiscent of old world charm, this painting depicting New York City’s Rockefeller Center brings warmth and Holiday Cheer to the viewer. 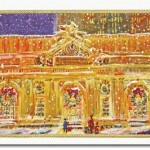 This is a great example of our American Artist Holiday Card Collection on our Online Shopping Site. You can choose from various American Artists’ designs and many more styles too! 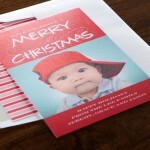 See more Holiday Cards on our Holiday Cards Category. Please come in to our San Francisco location at Three Embarcadero Center where we can customize your holiday cards with a personal greeting and print your envelope addressing for your mailing list.